2015 marks 800 years since the sealing of the Magna Carta beween the barons of medieval England and King John on the banks of the River Thames at Runnymede. There is a small temple to mark this event. 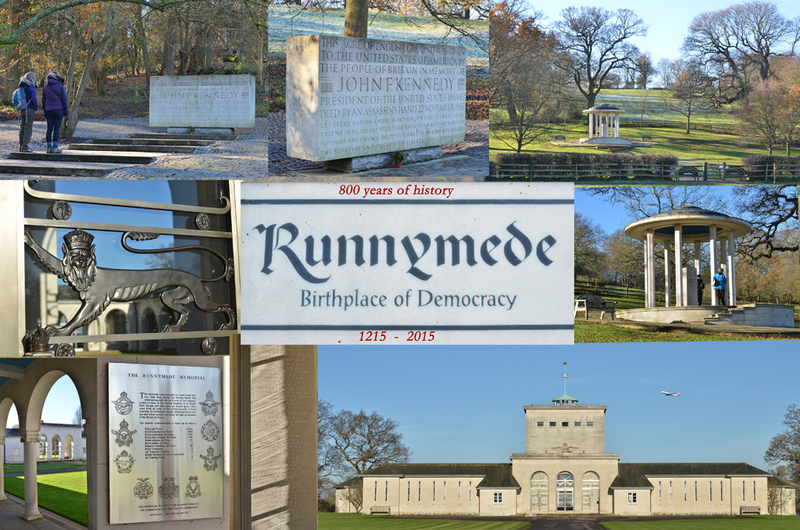 Also at Runnymede can be found the memorial to assassinated US President John F Kennedy and, high on the hill overlooking the river, the Air Forces Memorial which contains the names of over twenty thousand Commonwealth airmen who have no known grave.